We provide the best Hair Transplant in Haryana. Hair Transplant Cost in Haryana is lowest at our clinic. Fue Technique is used to treat male pattern baldness. Basically in this technique, bunch of hairs are extracted (Known as grafts) from head’s back side (termed as donor area) and implanted on the bald areas (Usually Front, Side and Crown Areas) of the patient. Microscopic Needles are used for extraction and implantation of grafts. It is completely a Safe Procedure with Assured Results. The first thing that anyone notices about a person is the visual look of that individual, and all of us know it very well that our whole look is so much dependent upon the hair, their density, texture and the style etc. A better face profile can give great confidence and help you get anywhere. But with today’s lifestyle and constant work, it is getting difficult to maintain the overall look with the healthy hair. The bald look can make a person worried, and one of the main reasons for hair loss is work and anxiety. We can improve our lifestyle but what’s lost back in the time is lost for always. Once the hair starts to fall, than the most unfavourable chances are that, it will lead to early baldness. And this can be one of the most horrifying dreams for anyone who likes to look good, feel good and live well. If you too are worried about your hair loss and don’t know where to go? 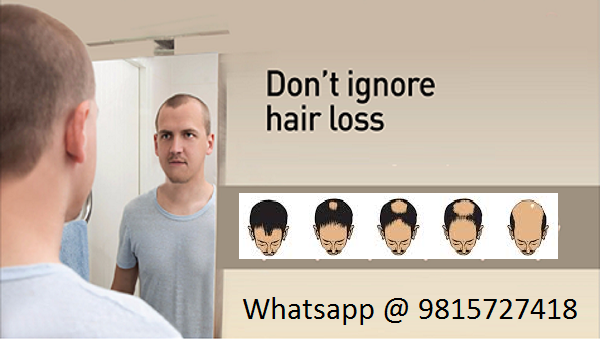 Chandigarh Hair Transplant is one stop solution for all hair loss problems. Whether its hair transplant, hair treatment or FUE hair transplant, we have individual experts with years of experience in every procedure. With the help of the FUE Hair Transplant in Haryana, anyone can get a treatment and get their good looks back in a jiffy. With a team of experts for treating your hair with best transplant techniques, you can rest assured to get a thick and natural looking hair without any single doubt. For healthy looking hair, it’s inevitable to grow back them the same way; they were before. The FUE hair transplant procedure can help get the old look back. It’s painless, stitch less and scar less, which mean it doesn’t hurt and take only one day to operate. Hair treatment is nowadays a necessity for every individual of any age, and one may face social harassment because of their baldness too. It could happen to anyone but to treat them is our responsibility. With world-class surgeon at Hair Transplant in Haryana, we can assure you of getting your hair back and make it look as natural as before with minimum time and cost. One of the main reasons to choose us is the team and experience which makes us exceptional in what we do. Best Hair Transplant Doctor in Haryana – Hair treatment is not a big procedure and doesn’t take much of your time, but it’s important and essential that you get it done by the professionals having expertise in the field. Our 15 years of experience with almost all the happy clients, make it sure that you get the best hair transplantation experience in Haryana at minimum hair transplantation cost. 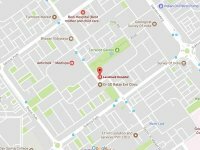 So, whether you are looking for the Hair Transplant Clinic in Haryana , Women Hair Transplant and Eyebrow Hair Transplant in Chandigarh, your search should only end here. You will get the latest equipment, well-qualified professional with best hygiene facilities, thus aiding to the more benefits for the best hair loss treatment in Haryana. Why Our Clinic is the Best Hair Transplant Clinic in Haryana? Therefore, Don’t Let the Baldness Stress You Anymore. Choose Us, Choose Best Men Hair Transplant in Haryana.